Title: "THE PASSION" - EVANGELICAL LEADER'S HALL OF SHAME - MOVIE MAY BE HISTORIC DIVIDING LINE IN REVEALING SPIRITUAL TRUTH VS DECEPTION - PART 3! The verdict about "The Passion" is now clearly and firmly in: This movie is the greatest Fundamental Roman Catholic movie ever made! Even though Mel Gibson assured everyone that the movie is consistent with the Four Gospels, nothing could be further from the truth. In fact, during his TV interview with Dianne Sawyer, Gibson admitted he took much material for the movie from Saint Ann Emmerich, a mystic nun whose terribly mystic visions -- pictured left -- formed much of the basis of "The Passion". Please understand the significance of seeing this All-Seeing Eye within the pyramid over Emmerich's head: this symbol represents the kind of supernatural spirit who gave the visions of Jesus' suffering to Emmerich. That spirit was Satan! From this occult explanation of the All-Seeing Eye in a triangle, you can see that Saint Ann Emmerich's vision of Jesus' torture and suffering on the cross was simply a vision from Satan -- she had established a 'personal relationship' with Lucifer! You see, the Roman Catholic Church has always kept Jesus on the Cross, insisting that its adherents focus on His pain, while Protestant and Baptist churches have insisted that our focus should be on Jesus' Resurrection. What did the Apostle Paul say? Therefore, one of the historic differences between Catholicism and Protestantism and Baptists is this matter of focus: Catholics insist upon keeping Jesus on the Cross, where Satan gained temporary victory (Genesis 3:15) while we have always insisted upon focussing on the Resurrection! Do not be deceived: Satan has always wanted our focus to be on the Cross! Emmerich's mystic, demonic visions of Jesus' arrest, torture and crucifixion was given her directly by the demonic host! Anne Emmerich (1774-1824) was also noted for her many "mystic gifts", including the occult practice of Stigmati -- the profuse bleeding from wounds which just open up on the body of the stigmatist. In addition to the Stigmati, Emmerich would frequently be caught up in "ecstatic prayer". Other reports indicate that Emmerich also levitated frequently. All these practices are Luciferian to the core and have been practiced by many people caught up in Traditional Catholicism, the New Age Religion, Hinduism Buddhism, and Illuminism. Mel Gibson unabashedly admits that he based much of "The Passion" upon her book entitled, "Delorous Passion of Our Lord Jesus Christ". We covered the contents of this book in NEWS1895 and encourage you to read it thoroughly. If you saw the movie, you will recognize from whence Gibson got many of the scenes in "The Passion" and if you have not yet seen the movie, you need to read our account of her book or you will be scratching your head continuously, wondering where in the world did that scene come from? The basic point is that Gibson and his Jesuit priest screenwriter and advisers created a most powerful, Traditionalist, pre-Vatican II movie based largely on the mystic, demonic visions of Saint Ann Emmerich. Catholic Authors Cheering Over The Correct Catholic Doctrine Depicted In "The Passion"
NEWS1899 -- " 'THE PASSION' OF ROME: TO BRING ALL WAYWARD CATHOLICS HOME" -- Movie seems clearly and deliberately designed to call former Catholics back to the Roman Fold! Written by Rebecca Sexton, Former Catholics For Christ, and writer of most Cutting Edge Catholic articles. for Its Author, Is a Mass", by Vittorio Messori on Mel Gibson's Work, ZENIT, The World As Seen From Rome, Date: 2004-02-18 -- This is the authoritative Vatican website. Note that this article says Gibson created "The Passion" as a Catholic Mass. This Orthodox Catholic author had no trouble seeing the Virgin Mary being portrayed as Co-Redeemer, nor did she have trouble seeing the Mass portrayed -- Eucharist -- so her testimony is very valuable. Insiders can spot elements that outsiders would never, ever see. Keep this mind when we view the next section, where Evangelical leaders are assuring their followers that "The Passion" contains no "uniquely Catholic doctrine" and that Mary is not pictured as a Co-Redeemer! NEWS1898 -- "WHY IS ANTICHRIST SYMBOLISM PREVALENTLY SHOWN IN "THE PASSION"? On two significant occasions in "The Passion", we see Antichrist symbolism. When you understand the symbolism of "Jesus'" naked buttocks in the last scene, you will understand that the movie depicts an Illuminist "signature"! As Pat Buchanan said so clearly, people raised from the cradle as Catholics will immediately see the Mass begin to unfold, and then will be able to see 13 out of the 14 Stations of the Cross, and the 5 Sorrowful Mysteries of the Rosary -- all vividly portrayed for them as never before. Furthermore, at the very end of the movie, the Virgin Mary goes up to the cross to kiss Jesus' feet; as she pulls away, her lips are fully covered in blood, even to the extent of looking like some of the blood had gotten in her mouth. Every Catholic from Former Catholics For Christ watching this scene instantly realized they had just witnessed a visual representation of the despicable Catholic doctrine of Transubstantiation, the doctrine which teaches that the bread literally turns to Jesus' body and the wine literally turns to His blood. The bread turning into Jesus' body is also shown by the camera switching from Jesus' body being lifted up high as the cross is being dropped into the ground to a scene of the Last Supper where Jesus is blessing the bread and saying "This is My body, broken ..."
The wine turning into Jesus' blood is shown by the camera switching from Jesus' body profusely dripping blood from the cross to the scene in the Last Supper where Jesus holds the wine goblet and saying, "This is My blood ..."
"The Passion" is so uniquely Roman Catholic that a person who sees it is literally going through a Mass and witnessing the key unbiblical doctrines of Catholicism pictorially displayed on the screen. How many misguided Protestants would go to see this movie if they realized beforehand that they were attending a Catholic Mass? EVANGELICAL LEADERS -- "HALL OF SHAME"
The whole Protestant and Catholic worlds seem to be rushing after "The Passion" in amazement and admiration! This passage refers to the First Beast, a man the Bible calls Antichrist. Therefore, it is highly significant that this movie contained two very strong images of Antichrist, as we detail in NEWS1898. "For there shall arise ... false prophets ... insomuch that, if it were possible, they shall deceive the very elect." This movie is one of the rare defining religious moments in world history. This movie is so boldly Roman Catholic and so boldly unbiblical that those Evangelical leaders who assured their people that this movie contained no Catholic doctrine and should be used as an evangelizing tool should be recognized as religious "disinformation agents", designed to lead their faithful into the hands of the Illuminati at the most crucial period in history -- a time when the appearance of both Antichrist and his False Prophet is close at hand. Since we know the Illuminati has chosen the Roman Catholic Pope -- whomever he is at the time -- as its False Prophet (NEWS1052), we have to wonder if the prophetic time is exactly right for the Protestant "wayward" people to be brought back to Roman Catholicism. Thus, we find it very interesting that the whole world is rushing after "The Passion". Let us now examine those leaders who are falsely assuring their people that this movie is wonderful and should be viewed by everyone! However, we shall tie our study into the insights offered by our article, NEWS1818, that the Illuminist false prophet, the Reverend Sun Myung Moon, had either provided large sums of money to the very Evangelical leaders who are now heavily promoting "The Passion", or who has sponsored front organizations through which he exercised his influence. Thus, NEWS1818 also lists Evangelical leaders who were members of the Illuminist Council For National Policy (CNP), an organization tightly tied into the Church of Scientology! Either Dr. Dobson is totally ignorant of what constitutes Roman Catholic doctrine, or he is lying! Either way, none of his followers should ever listen to what he has to say, ever again. As we have stated before, Focus On The Family told Christian parents that they could read Harry Potter to their children and then published a book entitled, "Finding God In Lord of the Rings", a book they still sell for $13 in their bookstore! If this organization recommends these two Satanic movie and book series, why should we be surprised to learn that they are now highly recommending "The Passion"? "... it is a straightforward depiction of what both Protestants and Catholics agree is the single most important event in human history." "... straightforward depiction of what both Protestants and Catholics agree ..."
When did Protestants agree -- ? * That the Apostle Peter confessed to the Virgin Mary after denying Jesus three times? * That Jesus was tempted in the garden by Satan? * That Satan was female, or even androgynous? * That Jesus and Mary were so spiritually connected that, when He hurt, she hurt, when He suffered, He suffered? Where did Protestants agree that Mary was Co-Redeemer of the human race? * That Jesus' right eye was battered shut, or that Jesus was naked as he walked out of the tomb? * That Judas was tormented by shape-shifting children the night of Jesus' arrest? * That Jesus fell down many times during His ascent to Golgotha? * That Jesus kissed His cross before He picked it up, in the true Pagan tradition of embracing their instrument of death? * That Satan appeared in the crowd gathered in Pilate's courtyard carrying a hideous, white child - Furthermore, how could Christian leaders see this hideous scene -- demonic Virgin Mother and Divine Child -- and still have the gall to say that this film is consistent with the Bible? * That Veronica gave Jesus her white linen headpiece so He could wipe His face on it, leaving an exact imprint of His face on the cloth? * That the Virgin Mary and Mary Magdalene wiped Jesus' blood off Pilate's scourging stones with the linen cloth given them by Pilate's wife? * That the penitent thief on the cross was wearing a Catholic brown scapular, thus enabling him to bypass Purgatory and go straight to Paradise? * That the earthquake which hit Golgotha split the Temple in two after splitting the curtain separating the Holy of Holies from the Sanctuary? * That the procession fulfilled exactly the Catholic Stations of the Cross and the 5 Sorrowful Mysteries of the Rosary? When did Protestants and Baptists agree to all this false Catholic doctrine so strongly taught in "The Passion"? Does Dr. Dobson know something we do not yet know, i.e., that Protestant leaders have secretly and totally abandoned our Biblical distinctives so as to embrace Roman doctrine? Is this to which Dobson is referring? It has been 10 years almost exactly since this Concordat was signed. Since then, too many Evangelical churches have taught or implied that there is no essential difference between Catholicism and Biblical Christianity. Now, "The Passion" comes out and is driving Evangelicals toward Roman Catholic theology. As we have stated before, this movie seems designed to bring Evangelicals to the worship altar of Rome while bringing wayward Catholics back to the fold. Considering the latter goal, when a wayward Catholic sees this movie -- so rich and powerful in Traditional Catholic dogma -- and hears Evangelical leaders say that the movie is consistent with the Bible, they will conclude that the Catholic Church is the one true Church after all, and will return. Now, let us move on to other Evangelical leaders who are falsely assuring their flock. When the Gospel is never clearly presented [NEWS1896], how can this film be considered "A Lifetime of Sermons In One Movie"? Sermons are to teach the "whole counsel of God", which means systematically setting forth true Biblical doctrines. For over 1,200 years, Roman Catholicism has been systematically killing anyone who would dare hold only to Biblical doctrine. For over 1,200 years, Catholicism has been bringing in all manner of pagan doctrine, dressed up as Christianity, and forcing her adherents to believe them all. This movie is horribly unbiblical and very Catholic. 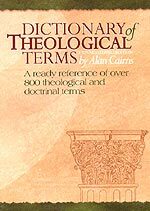 When Dr. Graham says that the movie provides "A Lifetime of Sermons In One Movie", he is implying that it is doctrinally sound and fit for preaching and teaching in Protestant and Baptist churches! After realizing that, of the movies' 120 minutes, at least 100 minutes is spent either teaching Traditional Catholic doctrine, or the embellishments from that mystic, Ann Emmerich, I wonder how much latitude Franklin is willing to give Gibson as "Hollywood's artistic liberties"! Has Franklin never read of Paul's warning, printed above, that just a little -- tiny -- bit of false teaching (leaven) ruins the whole lump of dough (1 Cor 5:6)? How is it that Christian leaders can tolerate truck-loads of false, pagan Catholic doctrine and then pass it off as "Hollywood's artistic liberties"? "... the film is for the most part an accurate, biblical portrayal of Christ's suffering." To see how false this assurance is, please refer to our discussion, above. Then, Franklin delivers such an improbable statement regarding this movie, I am still stunned. "But our salvation rests in His sacrificial death on that old rugged cross, where He atoned for the sins that otherwise would separate us from a holy God." Was Franklin watching the same movie I saw three times? "The Passion" went to great lengths to demonstrate the Catholic doctrine that Jesus could not save mankind on His own! From the time the female Satan sneered at the idea that one man could bear the sin of all mankind forever, Gibson portrayed Jesus as not being able to go to the cross without Mary's assistance! The Virgin Mary is clearly portrayed as a Co-Redeemer! This scene would have played well in any Hollywood movie, so why did Gibson and his Jesuit priest screenwriter omit it? The answer is simple: this scene demonstrates Jesus' Omnipotent power. Roman Catholicism has rejected Jesus' Omnipotent power and His Perfect Judgment because such teaching would leave no room for Mary! Obviously, if Jesus possessed Omnipotent power, He would be more than capable of going through the trial, scourging and crucifixion all by Himself. Yet, if Gibson portrayed this power, he could not then have portrayed Mary as providing Jesus critical power through her role as Co-Redeemer! How dare Franklin mix true Biblical doctrine with this movie? "For a long time, the word Passion was widely used to mean the suffering of Christ. 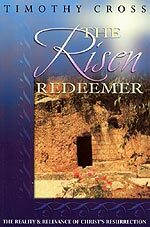 As the title implies, then, the movie is not about the whole life of Christ; it focuses on His suffering and death, the last twelve hours of His life beginning in the Garden of Gethsemane ... What are some good ways to prepare for the film? "Some evangelical Christians have worried that, because The Passion of the Christ was made by a Catholic director, it will reflect a specifically Catholic interpretation of Scripturefor instance, that it might put too much emphasis on the role of Mary, or that the fundamental truths about what salvation is and what it requires might be obscured in some way. Their concerns were heightened by the fact that Gibson based much of the movie on a book by Anne Catherine Emmerich, a nun who wrote about her visions of the Crucifixion. Gibson was inspired by her book and used many details from her account." "But what comes across in the film is not a reflection of the particular beliefs of any one denomination, but rather a painstaking, honest effort to give a faithful interpretation of the facts about Jesus death. As for Mary, although she does have a prominent role to play in the movie, this role is consistent with the biblical account of the Crucifixion. And she is not presented as a co-redeemer, as some Protestants might fear. What we learn from this film is the foundation of the belief common to Protestants and Catholics alike: that Jesus Christ, who was fully God and fully man, died on the cross for the sins of the world." Colson better check with Zenit, the official Vatican website, for it clearly states that Gibson created the film as a Catholic Mass. People at Former Catholics For Christ most definitely agree with Zenit -- sitting through this movie is sitting through a Roman Catholic Traditional Mass! No "beliefs of any one denomination"? What a nonsensical lie! What bold-faced lies! The Virgin Mary is strongly, clearly, and boldly presented as a Catholic Co-Redeemer! Anyone with a minimum amount of understanding of Roman Catholicism can see this instantly. Time and time again, Jesus falls and seems to be permanently down, never to rise again. However, He raises His head and looks at this mother with his left eye and immediately gets an infusion of strength that enables Him to get right up and go on. At the cross, Mary is most definitely suffering with Jesus. This film presents the Virgin Mary as Co-Redeemer in the most graphic and moving presentation in Roman Catholic history! Every former and present Catholic who sees this film understands this to be true. Yet, Chuck Colson boldly lies: "she is not presented as a co-redeemer..."
Let us consider some pertinent facts taken from Warren's best-selling book, "The Purpose Driven Life". Since the most important element of any Christian ministry is to properly lead people to a genuine Biblical salvation, let us now examine Rick Warren's prayer by which he leads his parishioners to "salvation" through Jesus Christ. What kind of nonsense is this prayer? Genuine salvation contains the following essential elements, without which no one is truly Born Again! Notice each of these essential elements is missing from Warren's cheap salvation "prayer". 5) The sinner must recognize that Jesus is 100% God and yet 100% Man -- equal with God, present with God from before the beginning of time, and the actual Creator of the Universe. This doctrine is so very important that the Bible states that the person who would deny it is guilty of being the "spirit of Antichrist". In 1 John 4:1-3, we see that anyone who denies that Jesus has come in the flesh is the spirit of antichrist. When Warren blatantly leaves out this teaching from his prayer of salvation, he is guilty of being the "spirit of Antichrist"! Therefore, Rick Warren's blood-less, repentance-less, and substitutionary-less "prayer of salvation" will save absolutely no one!! What this prayer will do is to convince his followers that they are saved, so they may never again feel the need for repentance; Warren has just "inoculated" his followers against the Truth! Now let us examine a couple of very troubling aspects of "The Purpose-Driven Life". 2) Warren quotes other unchristian authors, thus giving them legitimacy. 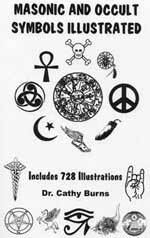 3) Warren then advocates a very occult, very Roman Catholic doctrine -- Breath Prayers, p. 113. He properly defines this kind of prayer as "short phrases on the breath ... no long discourses, keep it simple." Warren then assures his people that this prayer is quite proper because it has been done for centruies by Greek Orthodox, Russian Orthodox and Roman Catholics. Rick Warren is also a graduate of Fuller Theological Seminary, receiving a Doctor of Ministry degree. If you check the people and organizations who signed the very pro-Catholic Concordat With Rome in 1994 -- Evangelicals and Catholics Together -- you will find Fuller Theological Seminary! Therefore, Warren potentially has a very strong tie to Roman Catholicism. Thus does CBN deceive their faithful! If you need reminding as to how much damage this movie does to the "gospel-inspired account", please re-read our treatise, above. But, then, this article goes on to tell us some very interesting, and enlightening, facts. "I have to be honest; this is not a film I can review objectively because I had the pleasure to be involved with 'The Passion' project since I first met with Mel Gibson at Icon in September of 2002." Ever since the Evangelicals rolled out a sophisticated, expensive media support for this movie, I suspected they were involved with Gibson for a very long time. 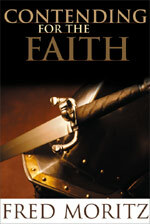 We received an email from a Canadian pastor who reported that he had been invited by Campus Crusade For Christ to preview the film in late December, 2003. At that time, he was asked to sign a statement validating the Biblical accuracy of the movie. This kind of effort required at least 6 months of prior involvement, if not more. But, here, we were told that this Evangelical author -- Holly McClure, began working with Gibson in September, 2002, fully 18 months before the release date! Since "The Passion" was released February 25, 2004, Gibson is said to have been working on it 13 years earlier, or 1991. Does that year ring a bell? If you have been a consistent Cutting Edge reader, you will remember the story of the Illuminati Card Game. Steve Jackson, the founder of an occult role-playing game company, began working on the Illuminati Card Game in 1990; in fact, Jackson gathered all his material from 1990-1994, before releasing the game in 1995. Jackson's Illuminati Card Game depicts all the planned actions and events which the Illuminati plans to utilize in order to bring down the Old World Order so that the Kingdom of Antichrist (New World Order) can be established. The most shocking cards depict the destruction of the Twin Towers in New York City, with the initial explosion occurring exactly where the first plane hit the North Tower [Read full details in NEWS1753]. Additionally, this card game contained a card showing the Pentagon on fire! 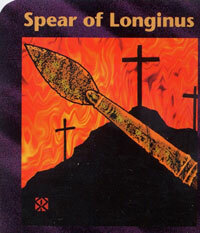 The card pictured above is the crucifixion card, entitled, "The Spear of Longinus". How could Steve Jackson know, in 1995, that the Illuminati was going to create some event that revolved around Jesus' crucifixion on Calvary? 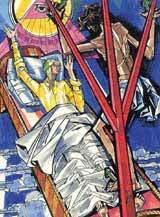 When you examine this "Spear of Longinus" card, you will note that the impact of the card is centered on Golgotha, with all three crosses showing on the hills; Jesus' cross is the most prominent. Notice the depiction that the fires of Hell seem to be burning around the crosses on Calvary. Take a close look at this card. The "Spear of Longinus" is shown in the foreground. For those not familiar with the occult, the Spear of Longinus is a magic relic worshipped by all occultists. They believe it to be the actual spear the Roman Centurion thrust into the side of Jesus Christ while he hung on the cross. Therefore, occultists worship this relic and believe it to be exceedingly powerful; in fact, Illuminist occultists believe that whoever controls this spear will control the entire world. Additionally, this occult Spear is also believed to be a symbol of Jesus' New Covenant -- to the occultist, that is! Thus, given Jackson's inside information about the key events the Illuminati was planning to bring about the Kingdom of Antichrist, he was in perfect position to know in 1991 about Gibson's planned movie, "The Passion"! We encourage you to read the rest of Holly McClure's article for CBN. After professing to know the "gospel-inspired account" of Jesus' trial, scourging, and crucifixion, she makes herself look foolish when she recounts all the events not depicted in the Bible, but only depicted in Saint Emmerich's demonic vision! Thus, you can see that Robertson has been cooperating with Tim LaHaye, Falwell, Bakker, Robison, Humbard and Swaggert for a long time in an effort to promote "the drawing together of both Protestants and Catholics, focusing only on 'common ground'." But, what should we expect from a man who signed the Concordat With Rome in 1994? "In its essential retelling of the story of Jesus Christs suffering and crucifixion, The Passion of the Christ is one of the most biblically accurate and historically authentic films that has been produced to date. Mel Gibson has meticulously crafted the screenplay from the four New Testament Gospel accounts of what took place on that final day. The storyline of the film faithfully follows the events of the last 12 hours of Jesus earthly life ..."
Before Tim Jackson undertakes to comment on spiritual matters, perhaps he should study the Roman Catholic Mass and the essential pagan doctrines connected with the Mass. Jackson had no clue he was participating in a Catholic Mass by going to the movie, nor does he demonstrate that he has a clue that he is encouraging his readers to participate in the same Mass. A true Christian will not pass off Hollywood depictions of mystic visions by calling them "creative liberties"! Since when can an accurate portrayal of a Catholic Mass be passed off as " some level of scholarly approved speculation"? While this author does not specify who the "scholars" were who approved this "speculations", we can tell you that they were Jesuit priests, some of whom served both in screenwriting and in providing expert assistance throughout this film. Further, since when can demonically-inspired visions from Ann Emmerich be passed off so easily? Now, let us review the email from a Canadian pastor, received February 27, 2004. This email reveals a lot of the truth behind Campus Crusades For Christ. "... as a Canadian pastor I had a chance to preview this movie about a month ago. It was presented by Campus Crusaders for Christ as the newest, hottest evangelizing tool ever and they wanted us to rubber stamp it for accurate doctrine and promote it within our congregations. I am here to say that I am thoroughly disgusted with the Evangelical leaders that have undergirded this Catholic farce and abomination to our God and Lord Jesus Christ. I didn't think I would see so much Mary veneration in my whole life. This movie is scripturally in-accurate in so many places it is a joke and in does not bring one ounce of conviction of sin or the need to repent. There is nothing that links the death of Jesus (no matter how over sensationalized) with the reason for His having to die. I could spend another 3 pages I'm sure about the catholic influence in this movie and I have already warned my congregation that we are going to have to deal with a bunch more false doctrine and Mary worship now, but that will be from misguided evangelical Christians ..."
But, the news gets worse, when you learn of the men Bill Bright brought on board as advisers to his International Crusade organization, officially called, "International Committee of Reference". * Jerry Falwell -- Moonies formed Coalition for Religious Freedom (CRF), a front for defense of Rev. Moon. Falwell was originally on the CRF! Listen to Falwell's endorsement of "The Passion". Checking back to our NEWS1818, we discover a strong connection between Falwell and Moon. Falwell readily admits that he accepted 2.5 million dollars from Moon in 1994 in order to bail out his Liberty University in Lynchburg, Virginia. 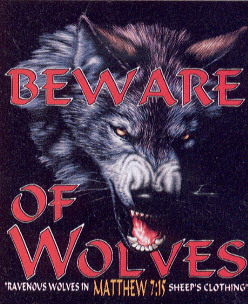 This was funneled through a Moon organization known as the 'Womens Federation for World Peace' which has been chaired by Beverly LaHaye, Wife of Timothy LaHaye, the popular co-author of the "Left Behind" Christian fictional book series and a well known evangelical Christian. The Womens Federation for World Peace paid 3.5 million to the Christian Heritage Foundation, which in turn bought Falwell's $73 million debt, and then frankly wrote it off. The Heritage Foundation then seems to have paid themselves a fee of one million dollars for their trouble. We could not find a review from Schuller on his official Crystal Cathedral website. However, we noted in several other articles -- similar to this one -- that Robert Schuller endorsed this movie. Schuller is mentioned in NEWS1818 as one of those who received between $80,000 - $150,000 from Moon organizations! Is it any wonder Schuller is supporting "The Passion"? We reiterate what we said even before the movie opened: this may be the time in history when Protestants and apostate Baptists come to the altar of Rome to give birth to the One World Religion of the False Prophet, and "The Passion" may be that instrument. Going back to NEWS1818, we discover that Kennedy is one of the evangelical members of the Council on National Policy (CNP), a major Moon front group, founded in 1981 by Tim La Haye. Fundamentalists have been increasingly dismayed by Dr. Kennedy's steady swerve to the Liberal side of the spectrum, including his refusal to expose the existence of the Illuminati conspiracy in America (John Birch Society Friends, 1994). * Reverend James Robison -- founder and president of LIFE Outreach International, of the television program, Life Today; and author of The Absolutes. In NEWS1818, we see that Robison was also connected to Reverend Moon. We discussed the article by Holly McClure, above, as it appeared on Christian Broadcasting Network, stating Pat Robertson's position on this movie. As we noted, McClure was extremely simplistic, pro-Catholic, and Biblically illiterate. While we did not report everything she said, we did give you the link to her article so you could read it fully. * "... a remarkable profile of Jim Caviezel, the actor portraying Jesus, who describes all the battles, injuries (including a separated shoulder he suffered on the cross), trials and tribulations that he, Gibson and others faced  as well as the Divine help that sustained them through the film's grueling production. * "... the 'Holy Spirit' was clearly and unmistakably at work during the filming." I am glad Farah put the Holy Spirit in quotation marks, for the supernatural spirit which was clearly behind this movie was the demonic spirit behind Saint Emmerich (remember the picture of her contained the All-Seeing Eye within a pyramid) and the Catholic Inquisition. The Biblical Holy Spirit, the Third Person of the Trinity, was most definitely not behind this movie! * "... the issue boldly goes on to explore the very real issues and meaning of the real "Passion" of Jesus of Nazareth, its singular effect on mankind, and, most importantly, its meaning for individuals today." When WorldNetDaily goes to such Liberal pastors and teachers to write religion articles, how can they hope to really capture the Biblical meaning for individuals today? Farah has Hal Lindsey, Jerry Falwell, James Dobson, Tim LaHaye, Pat Robertson, Chuck Colson, John Maxwell, and Jesuit-trained Pat Buchanan, writing religion articles and/or articles on key news subjects from their religious perspective. We have already detailed the Liberal, Evangelical, pro-Catholic and Reverend Sun Myung Moon connections with these religious writers. These men and their incredible heresies fashion the religious viewpoint of WorldNetDaily! We know that many Christians consider WorldNetDaily to be Fundamental Christian. However, as we have watched them carefully since 9/11, we have come to the conclusion that Farah is NOT Fundamental Christian, as his linkage to the above religious writers demonstrates. WorldNetDaily runs just enough conspiracy stories to get that kind of reputation, and they run just enough anti-Bush stories to get a reputation for being anti-establishment. However, if you carefully read their stories and their commentaries, you will discover that WorldNetDaily is really a pro-Bush establishment organization! * "In addition to eloquent and meaningful contributions by Dennis Prager, Rabbi Daniel Lapin, Charles Colson and many others ...."
Chuck Colson consistently writes articles for WorldNetDaily. Remember our earlier treatise concerning Colson and his enthusiastic support for "The Passion"! Colson told the biggest lie of all Evangelical leaders! Now, we see that Tim LaHaye is writing in his apostate "Left Behind" books that a Christian may take the Mark of the Beast from Satan and still be in right standing with God [NEWS1886 and NEWS1886b]. But most incredibly, LaHaye's book, "Armageddon" portrays that a person who has taken the Mark can pray and have God remove it! [NEWS1897]. This is utter and complete blasphemy and may result in tens of millions of people deciding at the time the real Antichrist is really giving the Mark of the Beast that, since the "Left Behind" portrayed that persons may take the Mark, still be in right standing with God and later pray to have it removed, they will take the Mark! As we stated in our original article on "The Passion", people will get saved from this movie. But, the way they will get saved is if a genuinely saved, Biblically-literate person comes alongside a person whose interest in Jesus Christ has been sparked by the movie and shows them the genuine path to salvation. People will not get saved by this movie alone, for it does not present the Gospel message! The key to the Gospel message is Jesus' precious substitutionary sacrifice, at which the female Satan sneered in the Garden of Gethsemane! When Jesus refused to rise to the defense of Satan's sneer, this critically important element of salvation was thoroughly impeached in the mind of the unbeliever. Further, as Cutting Edge, Former Catholics For Christ, and various Roman Catholic authors strongly report, this movie is "lovingly Marian", correctly portraying the Catholic Mass and Mary as Co-Redeemer. Therefore, when Evangelical leaders falsely tell their followers that these elements are not present and that the movie is consistent with the Four Gospels, you know they are either lying or terribly ignorant. Whichever is true, no Christian should ever listen to any one of them ever again. However, when you factor in the pro-Catholic and pro-Illuminist connections these Evangelical leaders have demonstrated over the years, you have to tend toward the view that they are deliberately lying to you! Why would they so lie? The world stands at the cusp of the appearance of Antichrist. Right on schedule, all three aspects of civilization are "going global" at the very same time. The government is going global as the United Nations is gaining more strength and more credibility all the time; at the same time the United States, Great Britain and others are deliberately "shrinking the gap" [NEWS1833 and NEWS1901]; the economy is "going global" as strides are being made daily to convert the whole world to a cashless economic system whereby no man can buy or sell unless he has the Mark. Finally, the world is "going global" religiously. On August 18, 1991, I was sneaked into a House of Theosophy meeting for members and their guests, where I learned that the Illuminati had just formally decided that the Roman Catholic Pope -- whomever he is at the time -- would be the top religious leader of the new global New World Order Religion [NEWS1052]. This designation makes the Pope the future False Prophet of Revelation 13 and 17. Since 1978, this current Pope -- John Paul II -- has taken unprecedented steps to unite all the world's religions to the Roman Catholic altar. Because of the inherent goddess worship of the Virgin Mary, Catholicism has experienced little difficulty bringing Hindus, Buddhists, Wiccans, New Agers, and all other goddess religions to her altar. Since Muslims revere Mary, they will come under a hybrid Roman system. And, since Evangelicals signed the 1994 Concordat With Rome -- Evangelicals and Catholics Together -- the entire Mainline and Evangelical segment of Christianity is now prepared to come to Rome. For 10 full years now, members of Evangelical churches have not taught the distinctives separating Roman Catholicism and Christianity. For these past 10 years, people in Mainline and Evangelical churches have been taught that Catholics are "brothers and sisters in Jesus Christ", just as the Concordat so boldly states! Now, has the time come for the final huge push? Is "The Passion" the practical outworking of the Illuminist plan of which Steve Jackson was familiar when he issued his Illuminati Card Game, containing the crucifixion card, "The Spear of Longinus" [NEWS1893]? If so, we should expect to see wayward Catholics coming back to the Catholic Church and Mainline and Evangelical churches embracing Catholic doctrine enough so they can participate in the coming New World Order Religion. 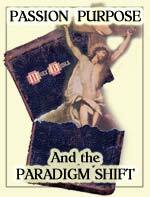 We may be witnessing the dreaded massive "Paradigm Shift" in religious values and attitudes, without which Antichrist cannot arise. "The Passion" will have certainly paved the way, not only for its Illuminist symbolism and Orthodox Catholicism, but because the Evangelical leaders listed above are now going to use this movie to complete the embrace of Rome.